Did you buy a second-hand iPhone and want to control the battery health, most importantly the charge cycle? Or have you used your iPhone for a long time and would you like to check the battery health to see if it is time to replace the battery? In both cases, we have brought together all the methods you need to follow to control the iPhone's battery health in this guide. There is something you should know before you begin; you should not trust third-party applications to control battery health. Apple has prevented developers from accessing battery data for iOS 10 and iOS devices. Currently, no apps on the App Store provide accurate or approximate information about the iPhone's battery health. Apple has introduced a feature that shows the battery health of the iPhone as a percentage in the Settings> Battery menu with iOS 11.3 update. With this feature it is possible to get preliminary information about the health of the battery. This is one of the easiest ways to control iPhone battery health. Just contact Apple and let the specialist do the remote diagnostics. When the process is complete, you will be able to clearly understand the status of your battery. There are several ways to communicate with Apple's online support. You can visit the support website or use the official Apple Support application for iOS devices. When an expert contacts you, please tell us that you would like to know about your iPhone's battery health. You will be asked to share your iPhone's serial number and iOS version. The expert will guide you through the process. 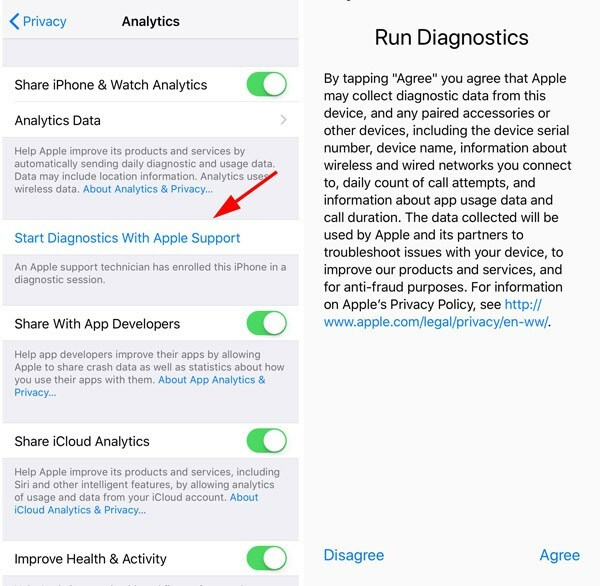 The Expert will send a diagnostic test request for you to confirm from the Settings application. After the process is completed, a report will be generated about the battery status, but Apple will not share certain metrics with you. If only the problem is detected, you will be advised to replace your battery. Otherwise, you will be informed that your battery has passed the test. 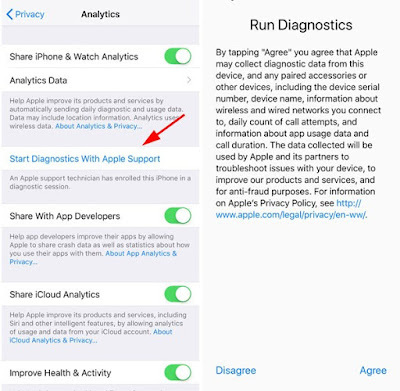 If you want to access the clear data of your iPhone's battery status, you can take a look at the following other methods below. CoconutBattery is a very useful application for controlling battery health for Mac. More importantly, it also provides information about your iOS device's battery. You can download the coconutBattery application to your Mac from here. After downloading and opening the app, connect your iPhone to your Mac. Open the lock on your iOS device and confirm the access request for the computer by saying "Trust" if you are connecting to the computer for the first time. The interface of the application is very simple and very simple to use. By clicking on the iOS Device tab, you can get basic information such as your device's charge cycle, current temperature and production date. You can also check the battery health of your iPhone using your Windows based computer. You must download and install iBackupBot for this [download link]. iBackupBot is a program used to transfer data between iPhone, iPad, iPod touch and iTunes. With the program you can get a lot of information including the number of battery charge cycles and full charge capacity. You have to pay $ 35 to use iBackupBot, but you can download a 7 day trial. Enough time to check the battery health of your device. If you own a jailbreaked iPhone, your job is quite easy. You can practically control the battery health by installing the free Tweak named BatteryLife. 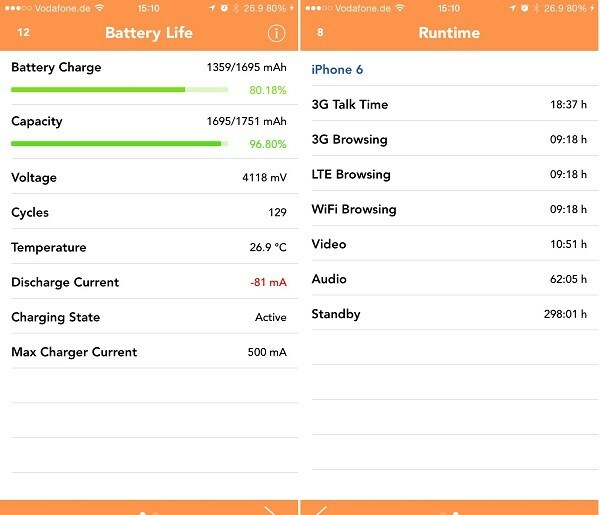 BatteryLife is a Jailbreak Tweak that displays your device's battery health and other information. You can download BatteryLife for free from BigBoss repository. Tweak is compatible with all iOS 6, 7, 8, 9, 10 and 11 versions.